3-Ethel Walker was born on 24 Sep 1880 in Westbury, Tasmania and died on 17 Jun 1968 at age 87. Ethel married Ernest Frederick Andrews, son of Edward Richard Andrews and Esther Cox, on 1 Sep 1904 in Methodist Church, Devonport. 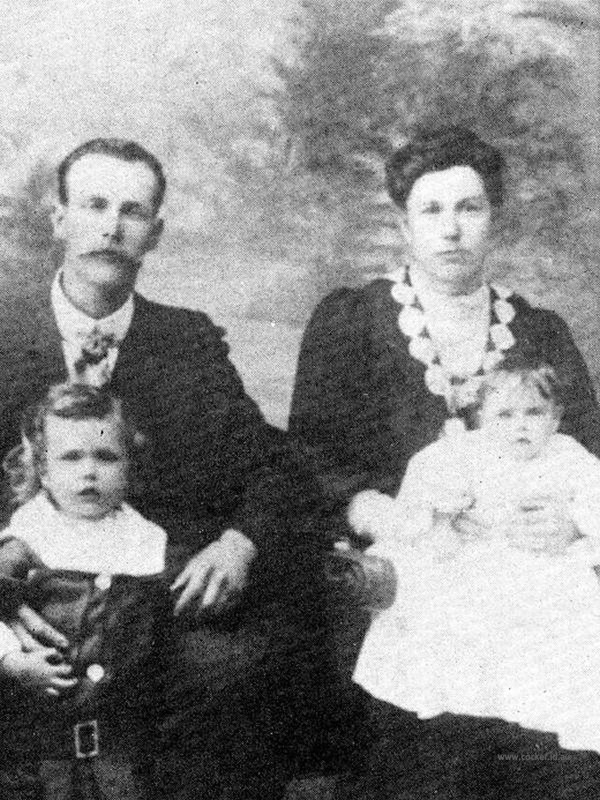 Ernest was born on 23 Jun 1882 in Port Sorell and died on 18 Jun 1965 at age 82. Before marriage Ern was a fisherman with his father, as well as a stoker on ships that traded between Sydney and Hobart. They started their married life in Smithton before moving to Devonport. There they had a tea shop catering for picnickers at the beach. The last house that they lived in at East Devonport is still standing. In 1924 they moved to Victoria where, as Ern who was blind, worked at the Institute for the Blind in St. Kilda Road. 4-Frederick Robert Andrews was born on 19 Mar 1906 in Thomas Street, East Devonport, Tasmania and died on 31 Mar 1940 in Prahran, Victoria at age 34. He served in the Second World War. 4-Edward Leslie Andrews was born on 9 Mar 1908 and died on 25 Nov 1965 at age 57. He served in the Second World War. Edward married Doris May Andrews. Doris was born on 6 Mar 1913 and died on 21 Sep 1951 at age 38. They had one daughter: Beverley May. 5-Beverley May Andrews was born on 10 Oct 1939. Beverley married Donald Hope. Donald was born on 16 Aug 1930. They had three children: Sandra May, Barry and Bruce. 6-Sandra May Hope was born on 20 Jun 1957. 6-Barry Hope was born on 12 Sep 1959. Barry married Marion Sponzer. Marion was born on 21 Dec 1957. 6-Bruce Hope was born on 12 May 1962. 4-Ernest Henry Andrews was born on 16 Jul 1910 in Smithton. Ernest served inthe Second World War. Ernest married Hilda King. Hilda was born on 31 Mar 1912. 4-Kenneth Carl Andrews was born on 3 Mar 1916 in East Devonport, Tasmania. Kenneth married Dorothy Margaret Griffiths. Dorothy was born on 8 Nov 1919. They had three children: Margaret Joan, Dorothy Suzanne and Peter Kenneth. 5-Margaret Joan Andrews was born on 4 Apr 1944. Margaret married Peter Kattle. Peter was born on 5 Jan 1956 and died on 10 Jun 1981 at age 25. They had one daughter: Cheryle Margaret. 6-Cheryle Margaret Kattle was born on 13 Jan 1974. Margaret next married John Dirk Bosland. John was born on 11 Dec 1939. 5-Dorothy Suzanne Andrews was born on 30 Dec 1949. Dorothy married Derek Ralph Dye. Derek was born on 14 Apr 1947. 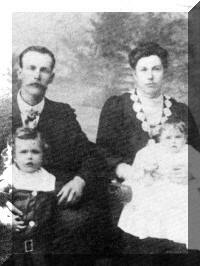 They had two children: Warrick Kenneth and Kathleen Suzanne. 6-Warrick Kenneth Dye was born on 17 Dec 1974. 6-Kathleen Suzanne Dye was born on 20 Nov 1977. 5-Peter Kenneth Andrews was born on 11 Nov 1957. Peter married Joan Brooks. Joan was born on 14 Oct 1955. They had two children: Sharna Lee and Christopher Kenneth. 6-Sharna Lee Andrews was born on 26 Jun 1979. 6-Christopher Kenneth Andrews was born on 8 Jul 1982. 4-Florence Ethel Andrews was born on 25 May 1920 and died on 4 May 1952 at age 31. Florence married Edward Mackie. Edward died in 1965. They had two children: Denise and Edward. 5-Denise Mackie was born in Feb 1945. 5-Edward Mackie was born in 1947.